I got the ceramic figure above a few years ago (see here for more details about it). 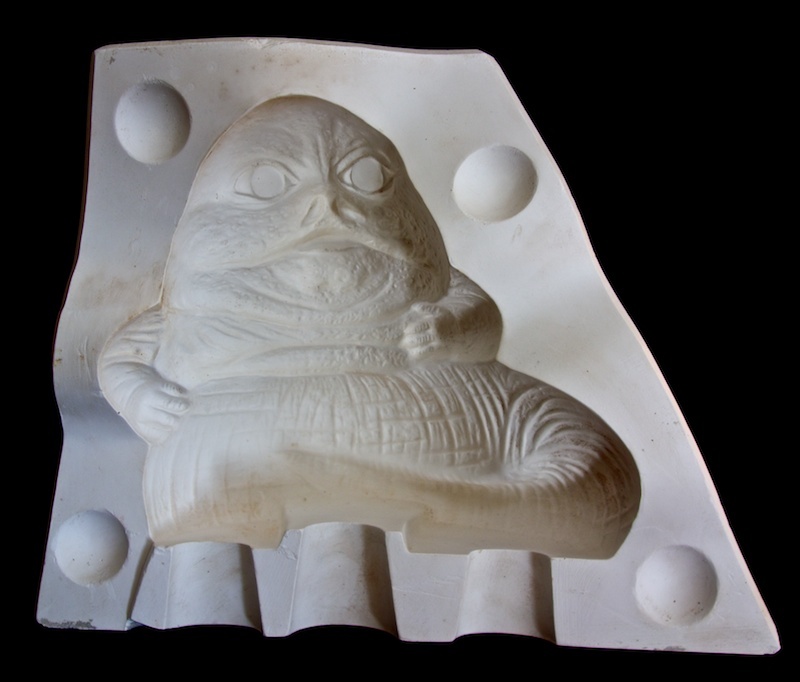 It’s one of many fan-made ceramic statues that people made in the 80s. Since they’re unlicensed and individually made, it has been difficult to find any information about them. 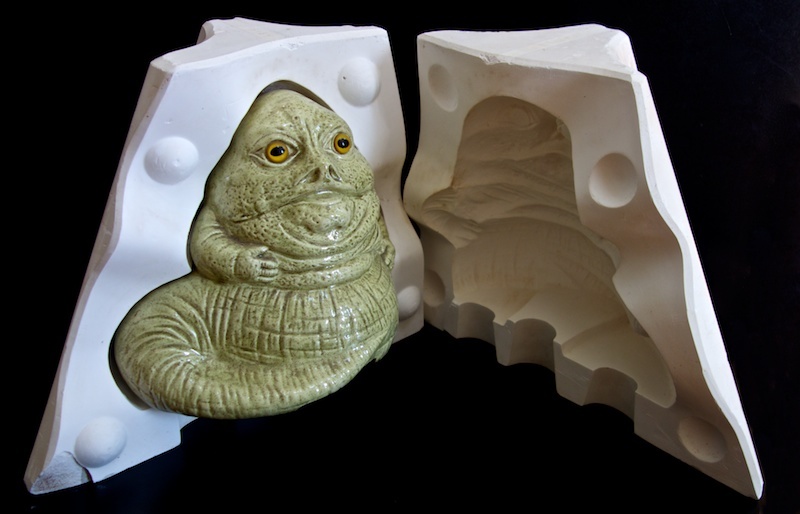 I know that some of them were apparently made by “Windmill Ceramics” but I dot know if they were responsible for the Jabba figure. 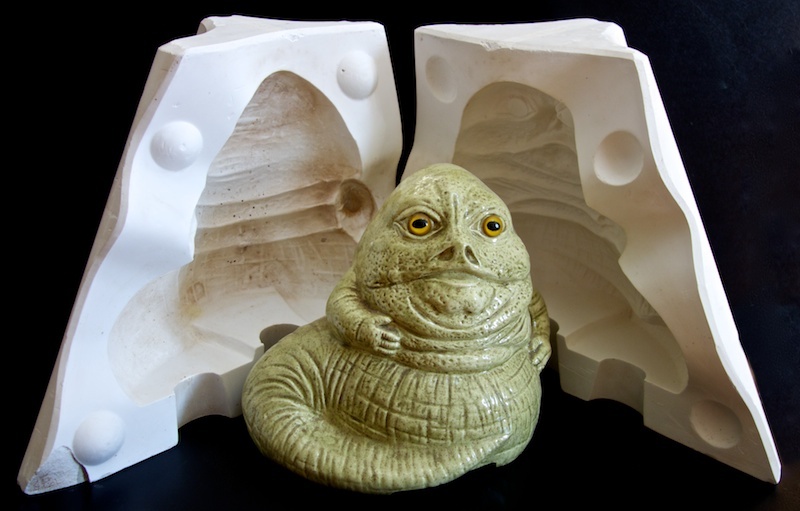 And I will say that the Jabba version is considerably less common than characters like Darth Vader or R2-D2. You can find those on eBay any day of the week, but these really don’t come up very often. When I bought this one, I thought it would be fun to collect these figures since they’re all unique and not generally that expensive, but since then I’ve only found one more (a brown one). I haven’t found any in the past 3-4 years. That’s why I was very excited when someone kindly pointed me toward an eBay listing for what appeared to be a mold for these figures. Plus, it was only $7. 🙂 I was pretty sure it was the mold for these figures, but when I got it in hand I had no doubt. As you can see, mine fits perfectly into the mold. 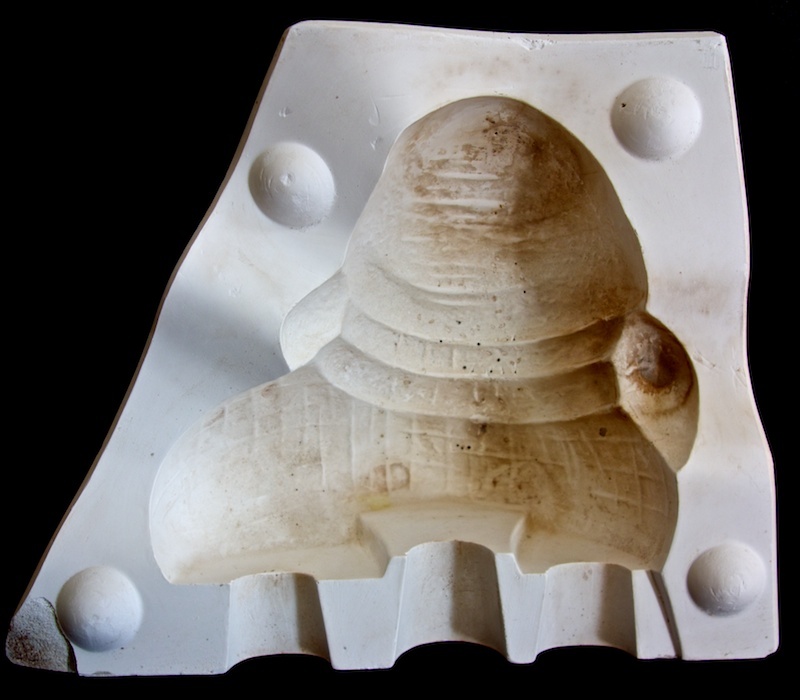 I have no idea how many of these molds were made, but I can’t imagine that very many of them have survived. It’s a two-part mold made of a chalky white plaster. 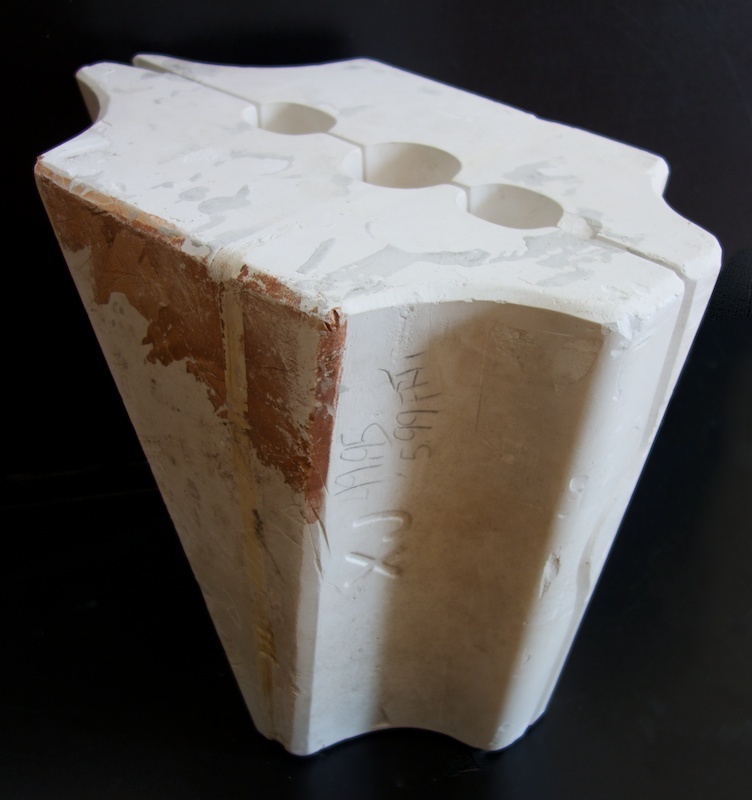 As you can see below, when you would actually use the mold, it would be upside-down so that the three holes are on the top, and the ceramic “slip” would be poured in there. There aren’t any real markings on the mold except for some numbers in pencil and the letters “XJ” in the mold itself. Could the “J” stand for “Jabba?” Maybe. The mold seems to be in pretty good shape, although the half shown below is kind of discolored. I did clean up the mold with a damp cloth, but this part didn’t want to come clean. I don’t know if it is feasible, but I’m considering trying to use the mold to make a very small run of ceramic figures. They would of course be properly marked as modern versions to avoid any confusion. We’ll see.